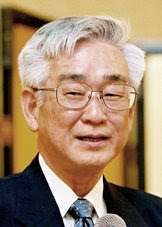 The Royal Swedish Academy of Sciences has decided to award the Nobel Prize in Physics for 2008 with one half to Yoichiro Nambu, Enrico Fermi Institute, University of Chicago, IL, USA "for the discovery of the mechanism of spontaneous broken symmetry in subatomic physics" and the other half jointly to Makoto Kobayashi, High Energy Accelerator Research Organization (KEK), Tsukuba, Japan and Toshihide Maskawa, Yukawa Institute for Theoretical Physics (YITP), Kyoto University, Japan "for the discovery of the origin of the broken symmetry which predicts the existence of at least three families of quarks in nature"
The fact that our world does not behave perfectly symmetrically is due to deviations from symmetry at the microscopic level. 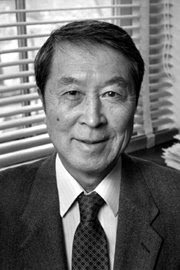 As early as 1960, Yoichiro Nambu formulated his mathematical description of spontaneous broken symmetry in elementary particle physics. Spontaneous broken symmetry conceals nature’s order under an apparently jumbled surface. It has proved to be extremely useful, and Nambu’s theories permeate the Standard Model of elementary particle physics. The Model unifies the smallest building blocks of all matter and three of nature’s four forces in one single theory. The spontaneous broken symmetries that Nambu studied, differ from the broken symmetries described by Makoto Kobayashi and Toshihide Maskawa. These spontaneous occurrences seem to have existed in nature since the very beginning of the universe and came as a complete surprise when they first appeared in particle experiments in 1964. 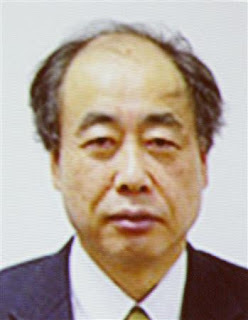 It is only in recent years that scientists have come to fully confirm the explanations that Kobayashi and Maskawa made in 1972. It is for this work that they are now awarded the Nobel Prize in Physics. They explained broken symmetry within the framework of the Standard Model, but required that the Model be extended to three families of quarks. These predicted, hypothetical new quarks have recently appeared in physics experiments. As late as 2001, the two particle detectors BaBar at Stanford, USA and Belle at Tsukuba, Japan, both detected broken symmetries independently of each other. The results were exactly as Kobayashi and Maskawa had predicted almost three decades earlier. A hitherto unexplained broken symmetry of the same kind lies behind the very origin of the cosmos in the Big Bang some 13.7 billion years ago. If equal amounts of matter and antimatter were created, they ought to have annihilated each other. But this did not happen, there was a tiny deviation of one extra particle of matter for every 10 billion antimatter particles. It is this broken symmetry that seems to have caused our cosmos to survive. The question of how this exactly happened still remains unanswered. Physicists are now searching for the spontaneous broken symmetry, the Higgs mechanism, which gave the particles their masses and there should be a Higgs particle, theory predicts. Scientists at the world's most powerful particle accelerator, the Large Hadron Collider at the European Organization for Nuclear Research or CERN in Switzerland, will be looking for this particle when they re-start the collider in spring of 2009.